You know the biggest obstacle to self-employment? Not having a plan! In this is a special bonus episode we are discussing how to create your own plan for becoming self-employed. A few weeks ago I email out my 2018 Strategic Plan to all LSTM members to share what I was going to be working on over the next year and then I got an email back from someone with a lot of great questions about creating a plan for herself. So I asked her if she would come on the show to discuss some of her questions and she said yes! Her name is Gabriela Cadena. She currently works as a contractor for the National Cancer Institute in Rockville, MD on various operations management projects ranging from risk management, finance and standard operating procedures. She has a passion for innovation and would love to become a location-independent entrepreneur. She’s trained to be a coach and now is trying to figure out how to make a living from it. 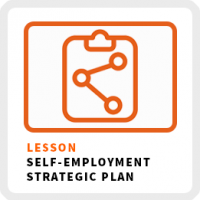 Why I think a strategic plan is more useful than a business plan if you want to become self-employed. How understanding your values leads to generating revenue on your terms. Why I believe in focusing on intentions and habits over to-do lists and goals. Finding your magic question to help you find the product or service you want to sell. Never forget you are the first resource of your business AND it’s biggest obstacle. Assess yourself as you would any other resource for your business. You are the common denominator for every decision made in your business. When you understand yourself, you can design a business model around your unique potential and work in alignment with your strengths. Your Values: What do you really care about? Your Motivations: What excites you to take action? Your Talents: What do you do well that gives you confidence? Working 100-hour weeks to build your business is unsustainable because you have limited time, energy and money. The trick is not to work harder, but to create priorities, so you now you to allocate your limited personal resources more effectively. The secret to success is making the best use of your current circumstances. You’ll never start your business if you keep waiting for the perfect scenario to arrive. You’ll never have enough time, money or energy. You have to make the best use of what you have. The secret of success is focusing on your unique competitive advantage. We all have one. What about your past experience, your talents, your connections, your circumstances or your stage in life can be leveraged to start your business? For example, people in their 20s might have more energy at that stage of their life than someone in their 50s, but someone in their 50s may have more connections. This is really the heart of your strategic plan. What are the core actions will you take on a regular basis to build your business? First, you need to figure out what’s guiding your actions or what I refer to as your “purpose”. What interest do you want to explore or problem do you want to solve that is worth struggling over even when you experience setbacks? You might already clearly understand your purpose or you still might have no idea. Figuring out your purpose is a process and you can only discover your purpose through experimentation, meeting people you can learn from and by being curious. Once you understand your purpose, you want to identify at least 3 core habits you need to practice regularly to help you carry out your purpose. For me, I need to write every morning, connect with people interested in self-employment in the afternoon and reflect on my daily progress. Create: Make something or take action to explore one of your interests or to test one of your ideas. Most people don’t create out of fear of judgment, perfectionism or failure. If you don’t create, you’ll never know if you are on the right track or not! Connect: Hanging with like-minded people will accelerate the growth of your business, unlike almost any other action you can take. Seeks out mentors, build a mastermind or find your first customers to get guidance and feedback. Working on your own, doesn’t mean going it alone! Get help! Learn: Never stop learning. The first step of learning is allowing yourself to be curious. Ask yourself and others lots of questions. The most effective method of learning is by doing it. Reading and listening what others have to share will never help you understand how the act of doing it makes you feel. Reflect: Check in with yourself weekly and even for a few moments each day to evaluate your progress. Attaining your goals will take time, so sustain your motivation by constantly reminding yourself how far you’ve come. There are lots of different actions you can take to build your business, but you can’t do them all at once and there are many you shouldn’t do yourself at all. Has an impact on the growth of your business. It’s one of your strengths. Of course, there are always going to be activities you aren’t excited about doing (like accounting for me!) or things you need to learn because they are central to the development of your business. For activities that are lower priorities try to eliminate them (especially if they have no impact on your growth), delegate them to someone else (if you have a partner or can hire a virtual assistant) or automate them using software. My point here is to focus on activities that energize you and minimize tasks that don’t. 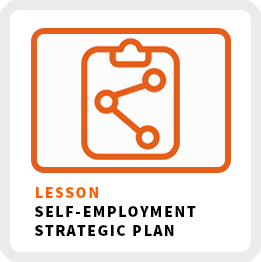 You will inevitably feel stuck along your self-employment journey. The key to getting unstuck is to recognize when it’s happening and to remind yourself of why you want to work for yourself. State your vision. Don’t state a numerical goal, but paint a picture in your mind of what you want your business and life to look like a year from now. Write a mantra. Make a statement describing your purpose and how you work your purpose. Maintain your focus by reciting it each morning and posting it in a place you will see it often. Describe how you want to feel. Most people want to become self-employed because they want to feel different from how employment makes them feel. Your desire to change how you feel is the real motivation behind your desire to become self-employed.